Peterbilt’s new Model 579 has been a hit right out of the gate and it promises to be even more popular with the introduction of its EPIQ package, which the truck maker says will improve fuel economy another 10%. 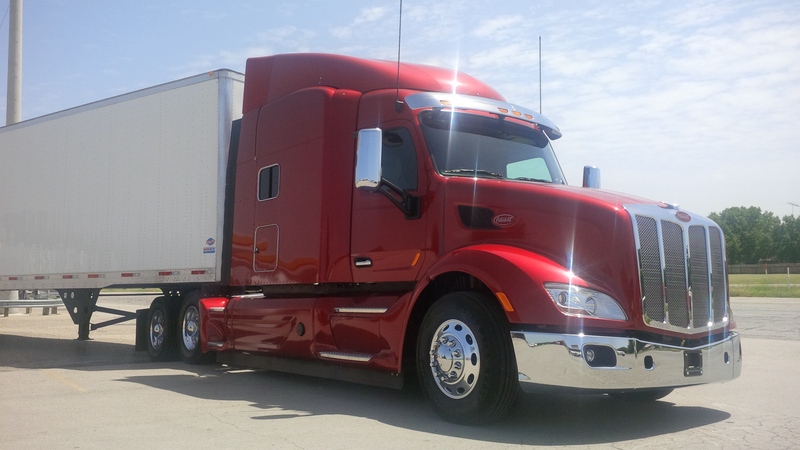 The package consists of a set of extended fairings, an optimized powertrain featuring the new Eaton Fuller Advantage automated transmission and Paccar MX-13 engine and a tire pressure monitoring system. Also included is the soon-to-be-released driver coaching system, which monitors coasting, braking and acceleration and provides real-time feedback to the driver. James Menzies drove this Peterbilt Model 579 with EPIQ package in northern Texas. Collectively, these options are said to provide a 10% fuel economy improvement and it breaks down like this: 4% for the optimized powertrain; 3% for the aero fairings; tire monitoring will get you 2%; and the driver coaching system will net the final 1%. 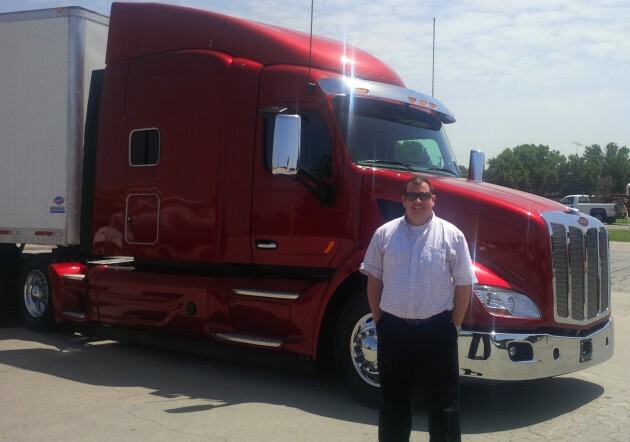 But it could be even better than that, according to Peterbilt’s Anthony Gansle, since the driver coaching system is resulting in better-than-expected fuel savings in fleet testing. This option will be available with Pete 579s with the APEX powertrain (MX-13 and Eaton Fuller Advantage automated transmission) this month and with other powertrains early next year. This was my first time driving the 579. I took it out for a couple hours, beginning my drive at Peterbilt’s Denton, Texas plant and heading west towards Oklahoma. Time constraints meant I had to turn around just shy of the Oklahoma border, which was a mild disappointment to me, never having been there. (Missing my flight home would’ve been a much bigger disappointment). The 579 is a great truck. Very smooth to drive. I noted the responsive steering and was pleased there was a legitimate reason behind my observation. “We switched to a finer spline on the steering wheel and steering wheel shaft and that spline helps to better adjust the center of the steering wheel and has less play in it,” Tony explained. “We also redesigned the main steering shaft and how it connects to the steering gear to help improve not only the steering play but the maneuverability of the truck.” Tony was probably equally pleased that I noticed this subtle enhancement. Drivers will have a hard time finding anything to complain about in the 579. Mine was fitted with a premium interior decked out with all the greatest creature comforts available. The only complaint I had, and it’s a minor one, was the lip on the floor between the cockpit and sleeper compartment. It’s a tripping hazard, though you’d get used to it in a hurry. And it’s there for a reason; Peterbilt opted for a discrete sleeper design. That sleeper can be removed and the truck converted into a day cab or fit with a smaller sleeper for the second owner, greatly expanding its resale potential. A fleet may choose to move it into its regional haul segment once its linehaul days are behind it. That’s a nice option to have. For my full report on the Peterbilt Model 579 EPIQ and more pictures, go here. The Peterbilt Model 579 glistens under the hot Texas sun.